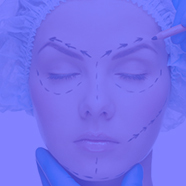 I have been trained by some leading doctors such as Professor Devauchelle in Plastic and Aesthetic Face surgery, Doctor Cornette de Saint Cyr for the Cosmetic surgery and Doctor Delay on Breast surgery. I'm graduate of the Board of French’s College of Plastic Reconstructive and Aesthetic Surgery, European Board of Plastic Reconstructive and Aesthetic Surgery, French Board of Plastic Reconstructive and Aesthetic Surgery I'm currently the President of the Director’s Board of Plastic Reconstructive and Aesthetic Plastic Surgery, President of Plastirisq and Vice President of the SOFCEP. My working places are in private centres as well as the hospital. Rhinomodulation - what is the role of injections? Shape implants: how helpful are they?